Roscoe ‘Possum’s Got A Problem! 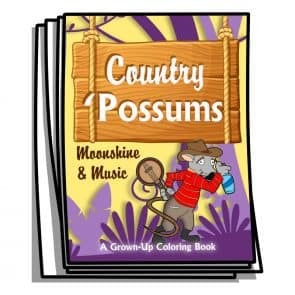 Roscoe ‘Possum lives with his family in the middle of the woods, where he enjoys making moonshine and making music! Every night, Roscoe plays his tunes on his banjo. But their neighbors – the skunks – have had enough of it! Find out how the ‘possums and the skunks settle their differences once and for all. Will these families end up being friends, or will they forever be each other’s enemies? I love the package! 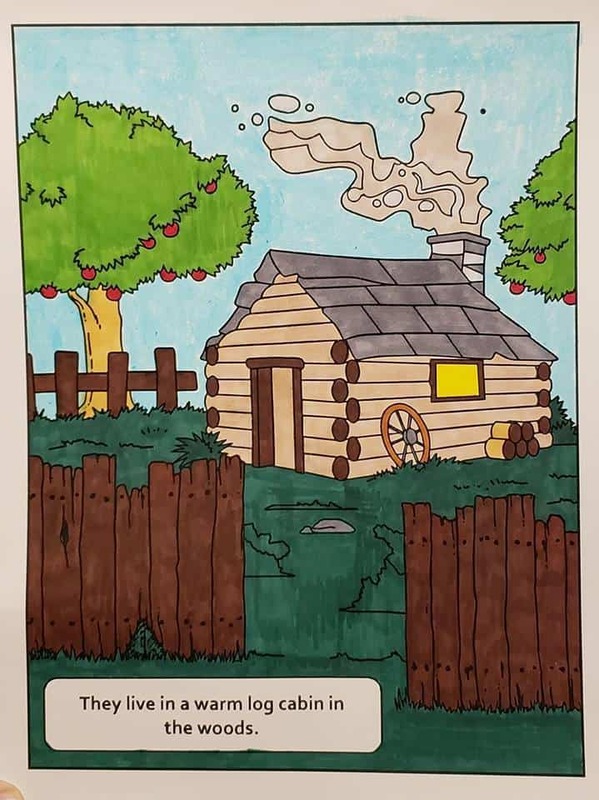 The log cabins are great because I've always wanted to live in one. The story is exciting. Colored with Colorit markers and Sharpie fine point markers and gel highlighter.